Save £20 on Amazon Prime membership for today only | What Hi-Fi? Amazon Prime Day is back for 2017 with a slightly tweaked format. The main day is Tuesday 11th July, but Prime members can start shopping for deals from 6pm on Monday 10th. New Prime customers can even save £20 on their first year of Prime membership during the build-up to the big day. Amazon has unveiled the date of Prime Day 2017, with the deals extravaganza undergoing a slight tweak this year. 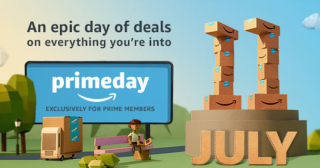 Though Prime Day will officially be held on Tuesday 11th July, Amazon is kicking things off a little earlier for members of its Prime service. Subscribers will be able to take advantage of discounts from 6pm on the previous day, Monday 10th. The elongated format means there will be 30 hours of deals for you to monitor with your bank card(s) at the ready.